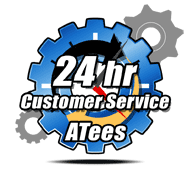 Currently all feedbacks are left by AsiaTees customers. This product is backed by ATees Hobbies' exclusive GPM Racing Warranty. Ideal for replacing original plastic parts for more strength. GPM RC parts are made from solid blocks, giving them improved strength characteristics. Ships for Free WORLDWIDE when you order above $75 USD. Nobody beats our price! See our Best Price Guarantee, or your money back! You may Request Additional Product Information for this product. This item is a direct replacement of the original (stock) part. Find something wrong in this description? This product is backed by AsiaTees Hobbies' exclusive GPM Racing Warranty. Ships for Free WORLDWIDE when you order above $75. 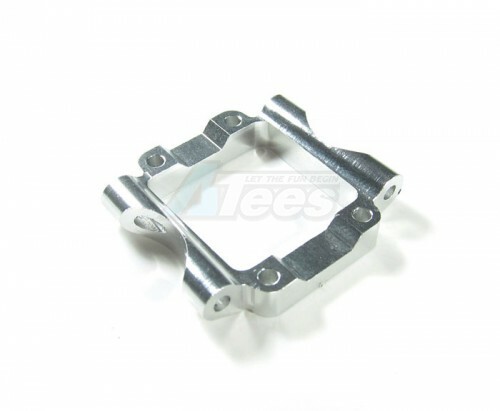 The Team Losi Mini-T Alum Rear Lower Pivot Block Set Silver has an average rating of stars based on 39 customer reviews. Excellent quality and fits. Stronger than stock. Very pleased. Fit and looks great on my mini late model. This feedback was left without a comment. Since 1985, GPM Racing Products has been the leading brand of aftermarket option upgrades for those who love radio control cars. From its introduction of the worlds first full-line metallic aftermarket options more than twenty years ago, to advanced upgrades that eliminate weaknesses of original manufactured parts, GPM Racing products remains to be the vanguard of high performance radio control options. GPM offers a vast variety of products for many radio control car models and has the largest selection of aftermarket upgrades on the market today, with over 300 RC car models. GPM is an original equipment manufacturer (OEM) for Team Associated, Team Losi, Tamiya, HPI and Kyosho. Its products show modifications of material, modifications of design and modifications of measurement. Top quality and performance are key to unlocking your cars inner potential. Mechanics with at least 10+ years of experience in R/C parts manufacturing lead and operate CNC (computer numerical control) machines to produce all of its products. GPM Racing inspects and has 100% quality control over all of its products, ensuring the highest quality standards for your RC needs. If you manage to break a GPM Racing part under normal operating conditions, GPM Racing's best in class warranty program will replace that part at no further cost to you. 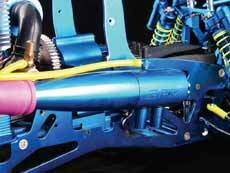 So you can be sure GPM Racing is a good choice when it comes to aftermarket option parts. Exclusive return policy for GPM Racing upgrade parts only available at the Largest RC store, Asiatees Hobbies.